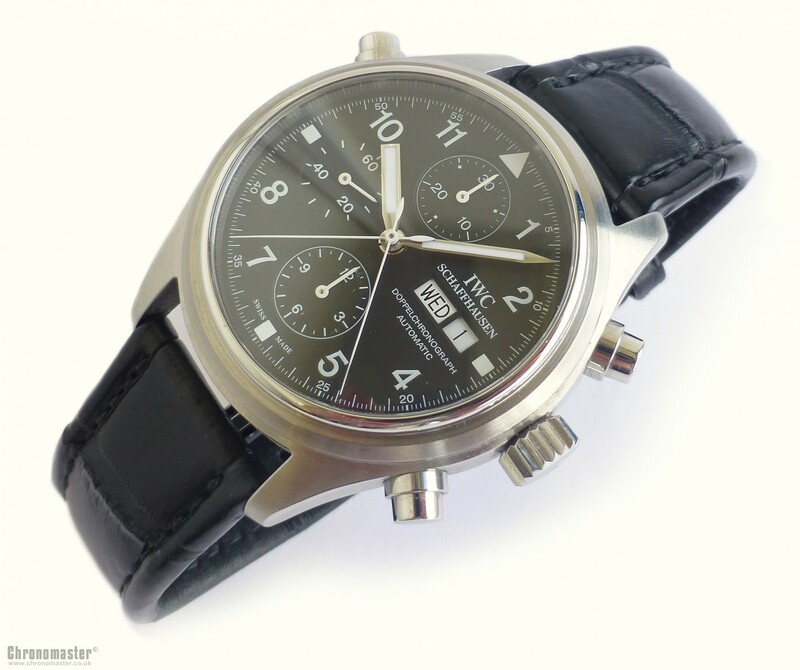 Mint and unused looing condition IWC Flieger Chronograph complete with all boxes and papers. 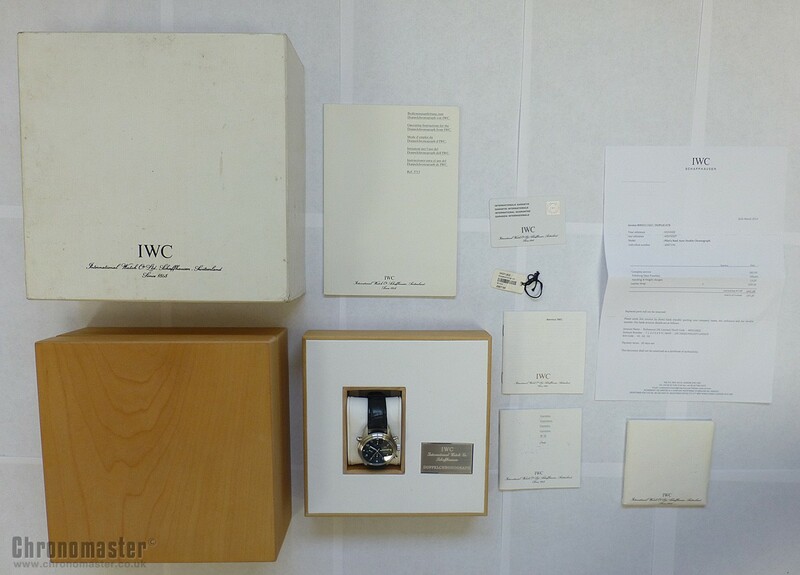 It was returned to IWC two years ago for a full service costing over £600 and also got a brand new IWC strap which has not been used, these are over £200. 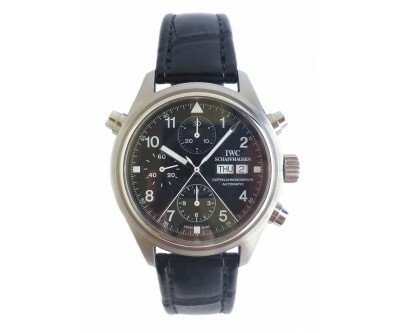 This is another IWC watch that is regarded as a classic as it is a discontinued model and they are becoming rarer and hard to find. 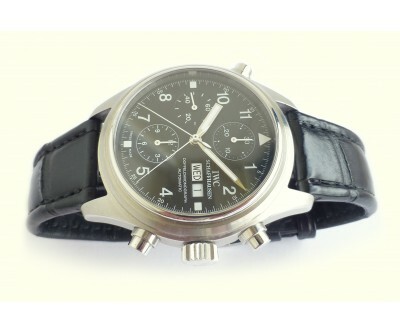 An IWC is one of the most desirable watches to own and the Flieger Chronograph is one of the most desirable IWC watches. 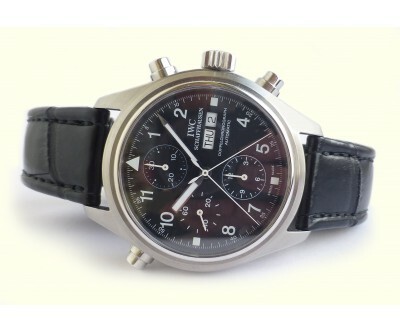 It is made to exceptional standards. 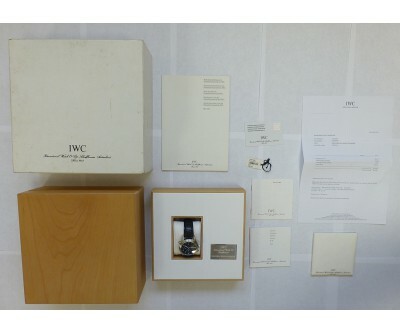 Each IWC watch is hand finished, and made to the highest of standards, where attention to detail is of essence. 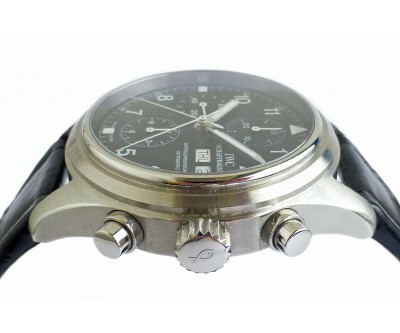 This is a large and solid watch, with solid stainless steel case and bracelet. 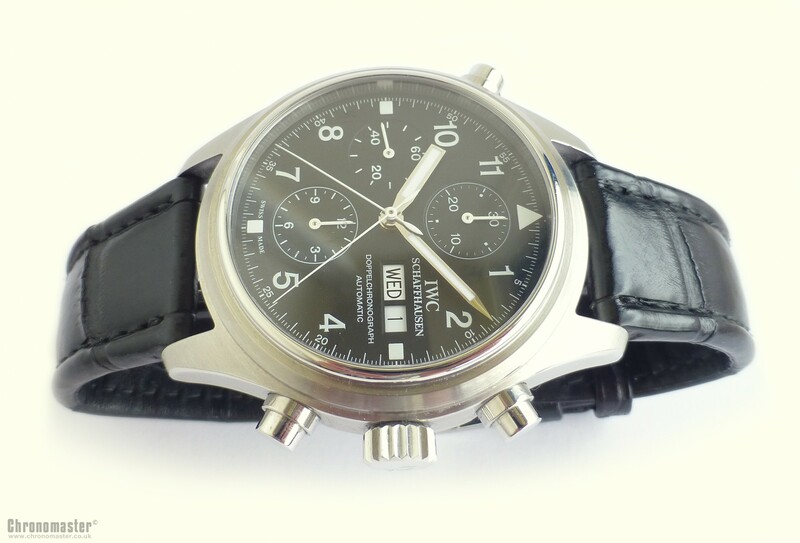 It is a 3 register chronograph with day and date at the 3 position, subsidiary seconds at 9. The twelve hour elapsed timer is at 6 and the thirty minute elapsed timer is at 12. 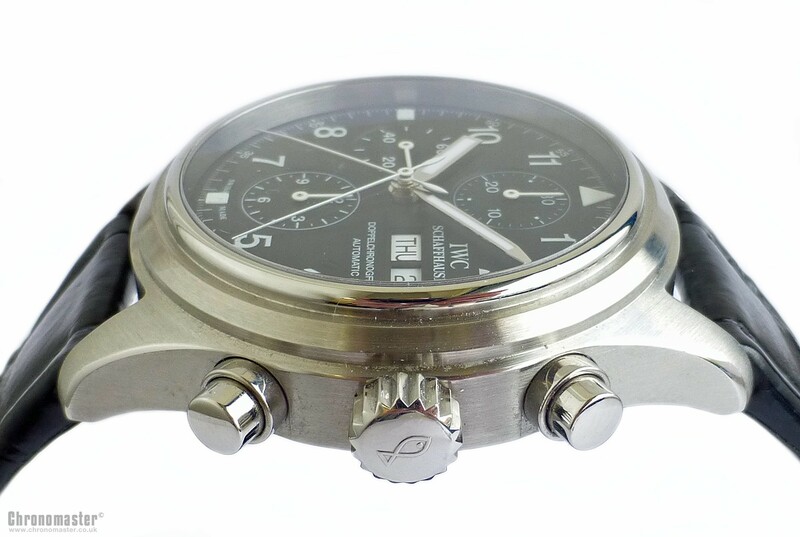 The special feature on the Doppelchrono is the rattrapante or the split second feature where there is two central sweep chronograph hands which can work independently of one another and the secondary hand is operated by the pusher at the 10 position. 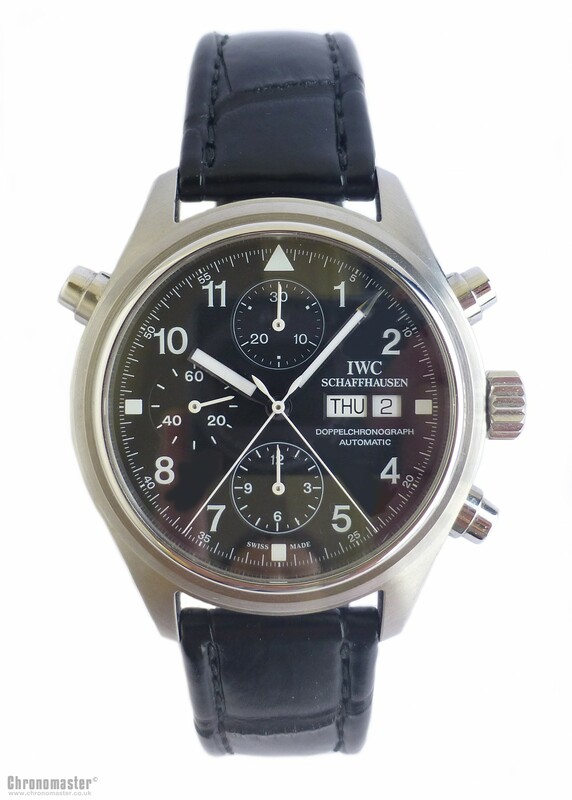 Uncluttered and functional dial, with the only markings being the hours and the 60 second chronograph markings. 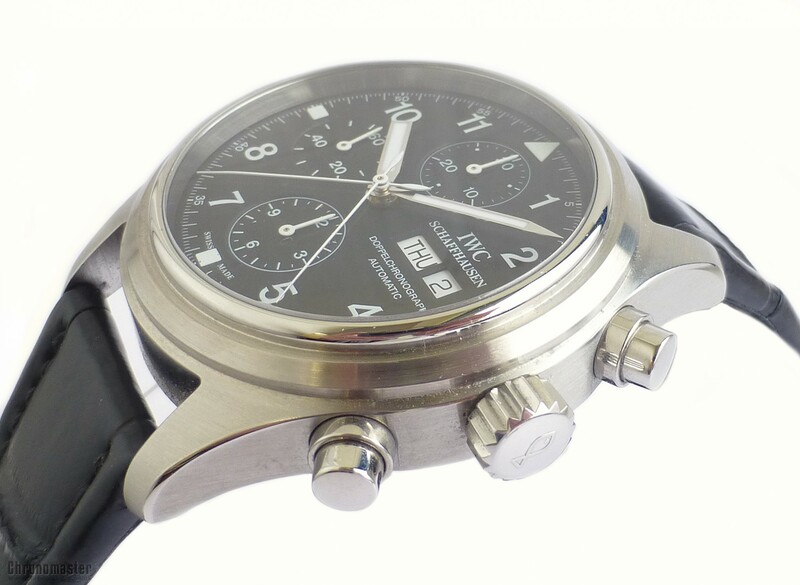 The subsidiary second sub register is without an outline so as the chronograph functions are kept separate from the time functions. 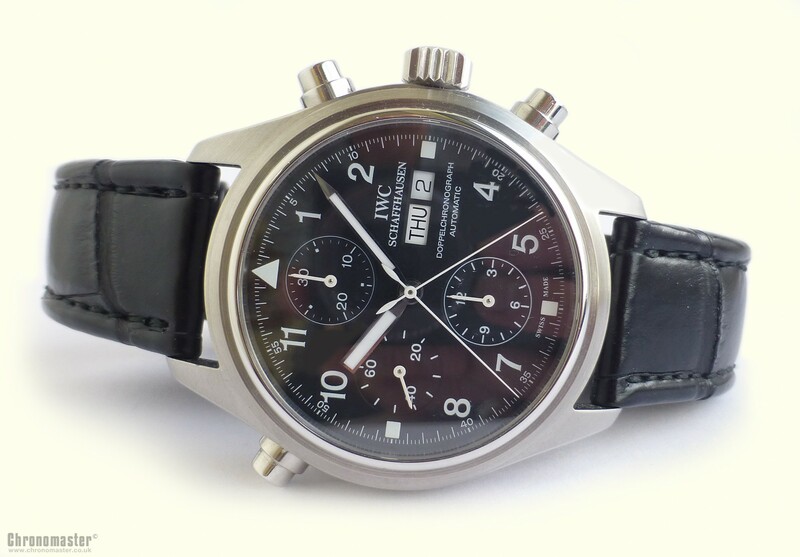 Has a screw down crown, sapphire crystal of grade 9 hardness, 25 jewel movement, water resistant to 60 metres, power reserve of 44 hours. 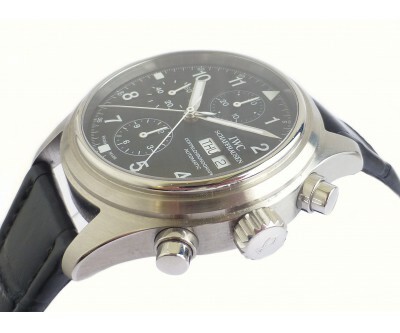 Dimensions are: width is 42 mm excluding crown, 46 mm including crown, 52 mm lug to lug and thickness is 17 mm.